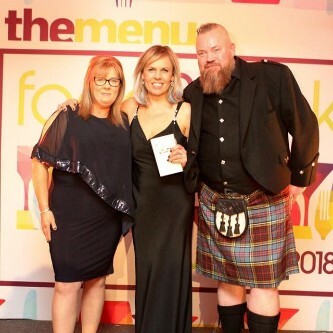 The first ever food and drinks awards for Dundee, Angus, Perth and Fife took place in March at the Old Course Hotel with The Adamson picking up a top award. The Menu, The Courier’s Saturday food magazine awards are a celebration of businesses and individuals who create stunning products, dishes and tipples that are among the best in the industry. Julie Lewis collected the prize for best ‘Mixologist/Sommelier of the Year’ sponsored by Eden Mill. We are immensely proud of our team and we would like to thank all of our guests for their continued support.